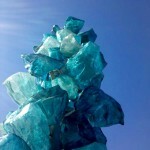 High Glass, Glassmorous, Glassy, Glastacular … Okay, I’ll stop! Tom and I … Amtrak … Tacoma, Washington … no kids … overnight. 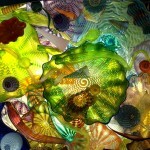 I must say, we found ourselves entranced with the city’s historic architecture and glass art offerings. 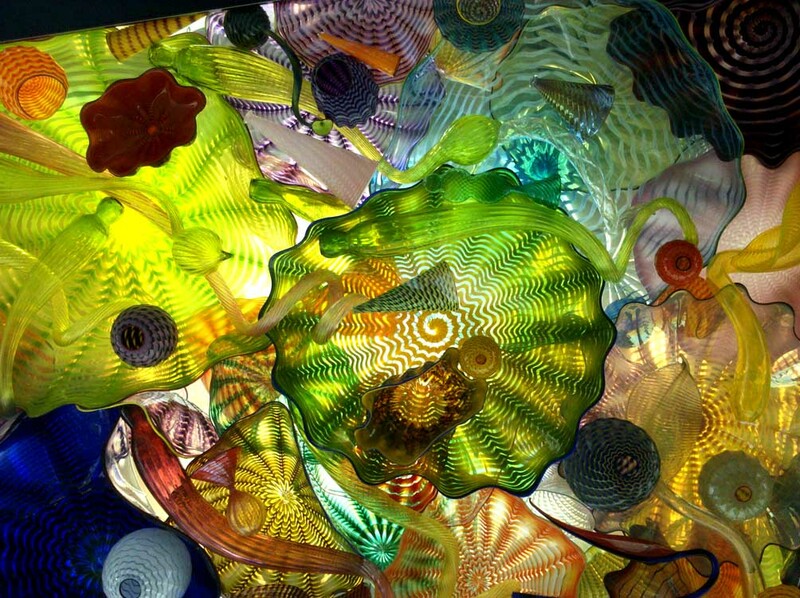 Before our visit, I had no idea that Tacoma was Dale Chihuly‘s birthplace — he graduated from Woodrow Wilson High School. (A quick aside, Dale’s site is shockingly … well, retro … and not in a good way.) I had no idea that so much of his art was on display throughout the city. 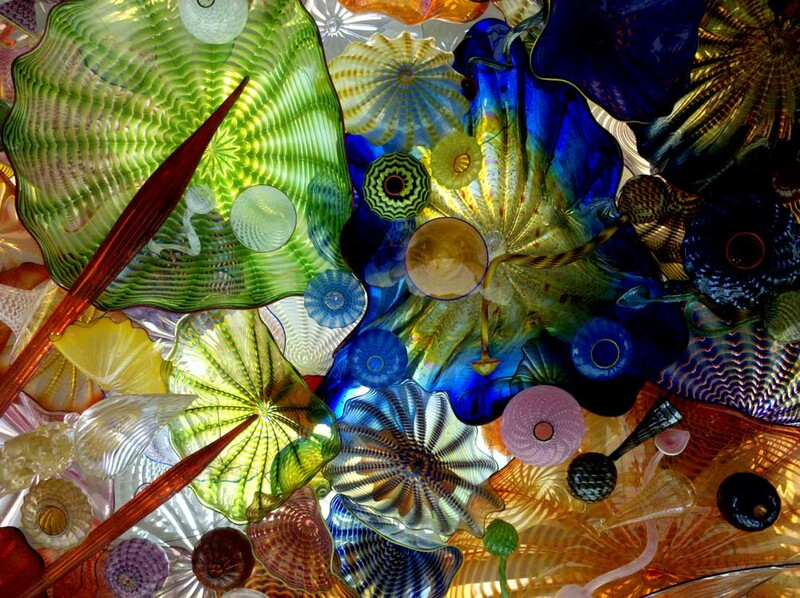 I had no idea there was a Museum of Glass devoted solely to glass art, right downtown. And, I had no idea that said museum had a fully functional Hot Shop (glassblowing studio), complete with a guide narrating the action, in which you could sit and observe. In fact, their Web site has a live video feed of the Hot Shop, and you can even ask questions of the emcee online. 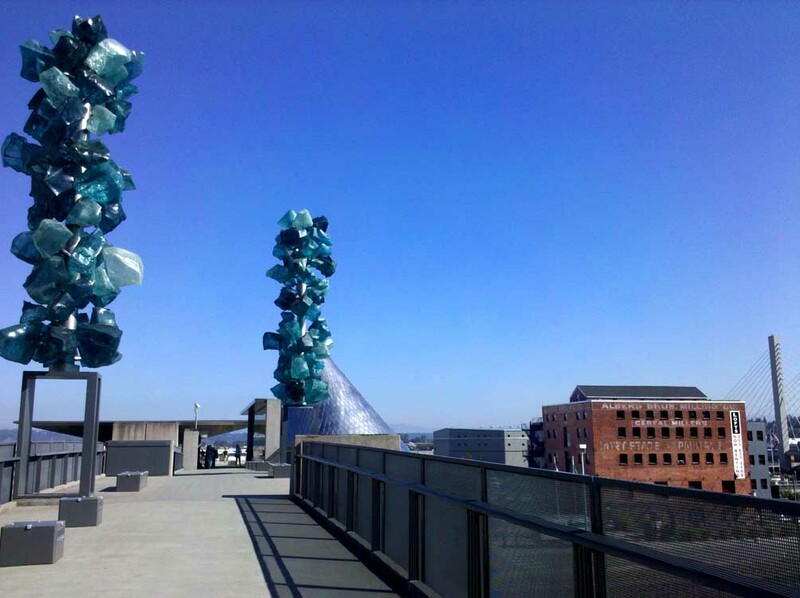 To get to the Museum of Glass, we walked across The Bridge of Glass, pictured below, on the left, which is an impressive connector between the beautifully restored, historic Union Station, and the very modern, cone-shaped museum. 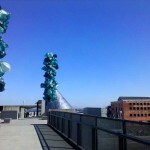 There are a multitude of pieces by Chihuly on the overpass, a very impressive selection. 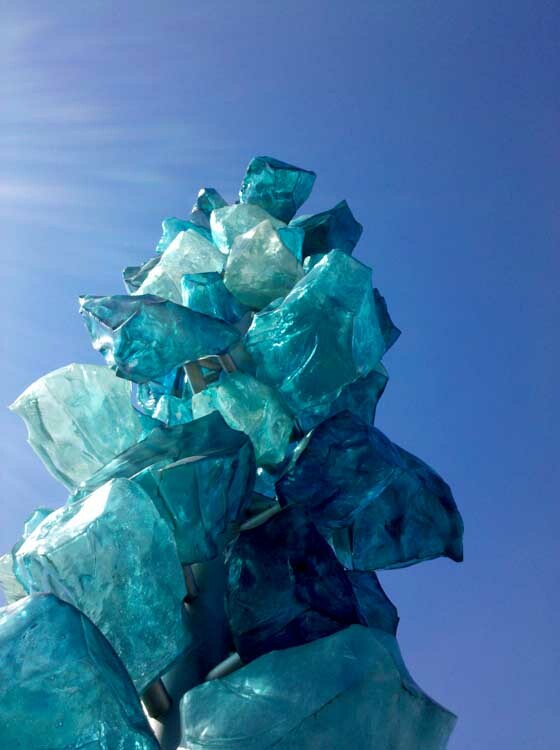 The most visually imposing are the towering blue glass sculptures, called the Crystal Towers, that adorn the bridge, shown in two photos below. The towers were rather impressive in the sunlight, not so his remaining masterpieces on the walkway. After passing over the bridge, it was off to the museum for us. Two of the galleries were closed because they were installing new exhibits, so we entered with a discount and went to the Hot Shop, which was really riveting. We learned a ton while watching a team of blowers and an artist crafting pieces that were inspired by the cosmos. We also toured the one open gallery, which contained, amongst other things, a neat program where they take fanciful children’s drawings and realize them in glass. The final exhibit includes a combined presentation of the child’s original picture and the derivative glass piece. Very entertaining, and technically, quite difficult for the artisans. All in all, definitely worth a visit. 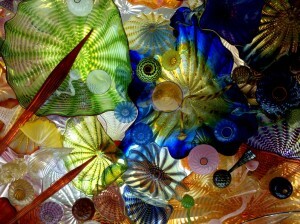 We came away with a real respect for, and an abiding interest in, glass art. This entry was posted on Friday, October 15th, 2010 at 11:55 pm. You can follow any responses to this entry through the RSS 2.0 feed. You can leave a response, or trackback from your own site. « There’s a Lady in my Tea Cup!